Exclusive! Our Clever Kitty Essential Holder is such a tidy cat! 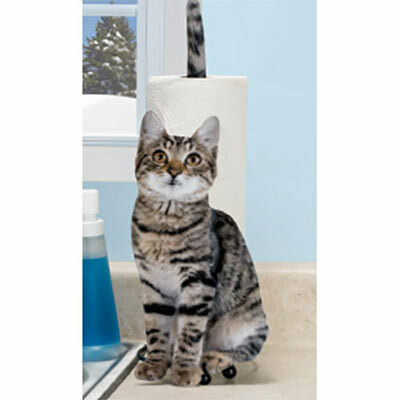 Photo-realistic, die-cut metal cat holds two or more rolls of toilet tissue or one roll of paper towels conveniently close at hand. 16½"h.